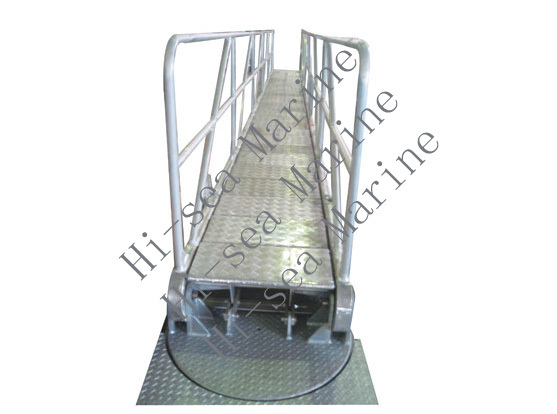 For passengers or crews to embark or disembark when the ship is mooring alongside a deck. 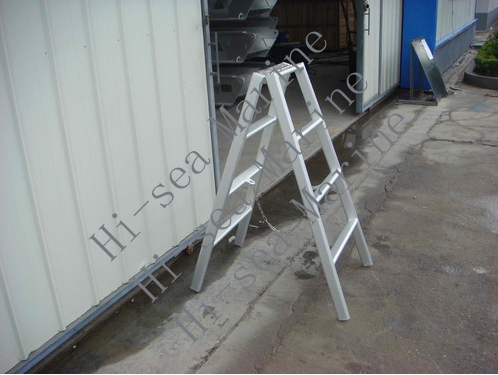 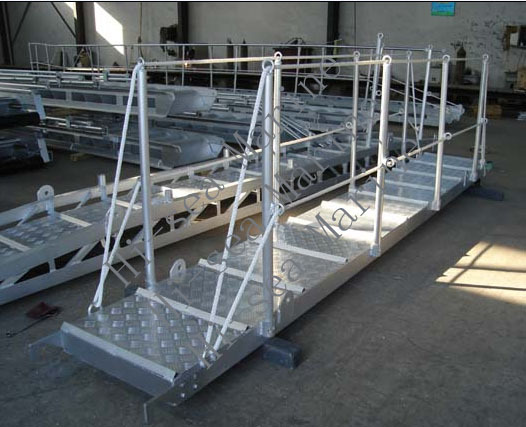 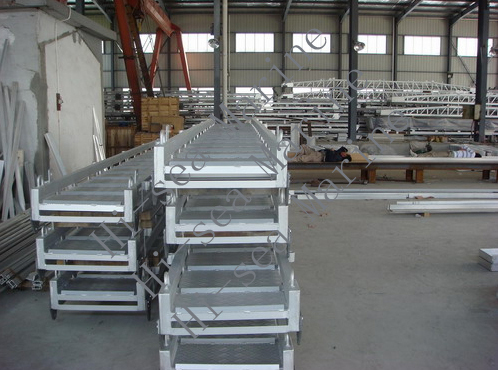 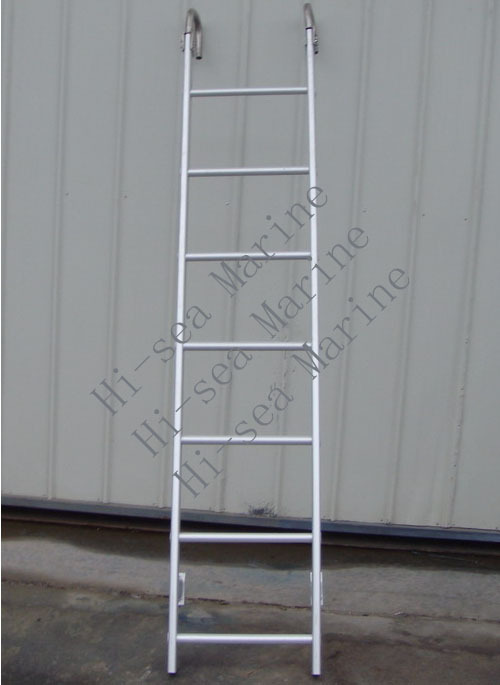 1.We supply all kinds of aluminium wharf ladders, aluminium gangways, shore gangways, deck gangways. 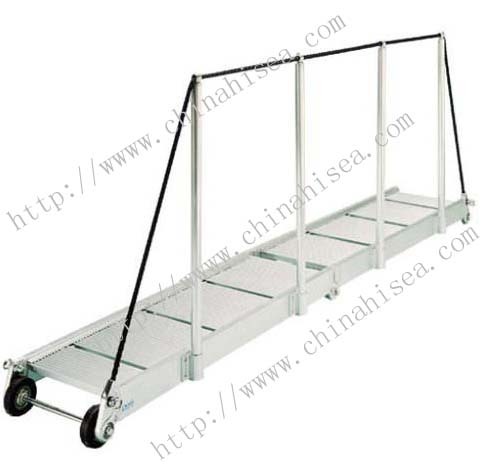 2.Safety net can be supplied together with this product. 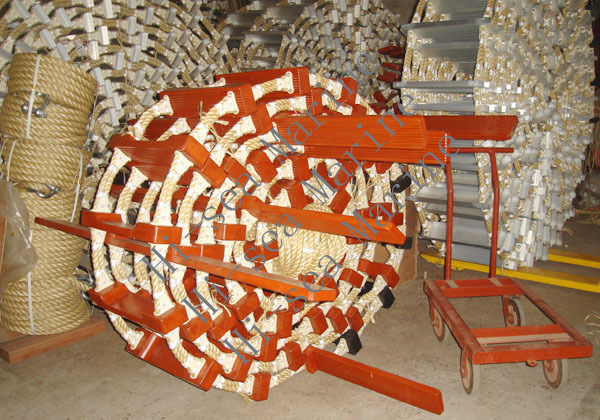 3.The rope material is nylon, and the other parts are aluminium. 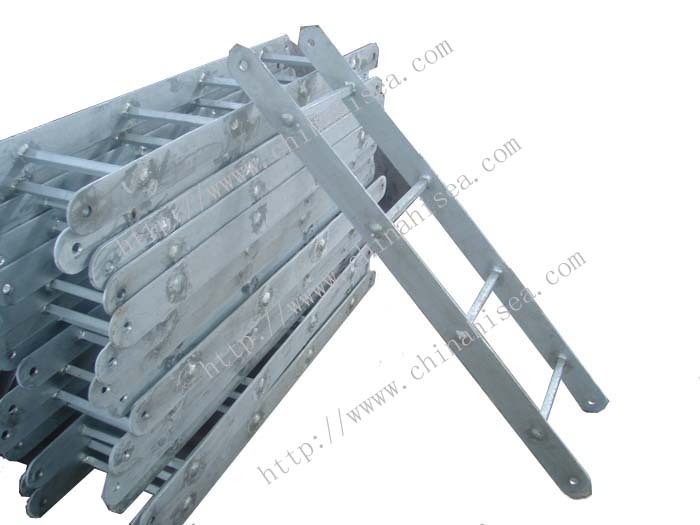 4.The product can be customized.We have integral type and dis-mountable type for your option. 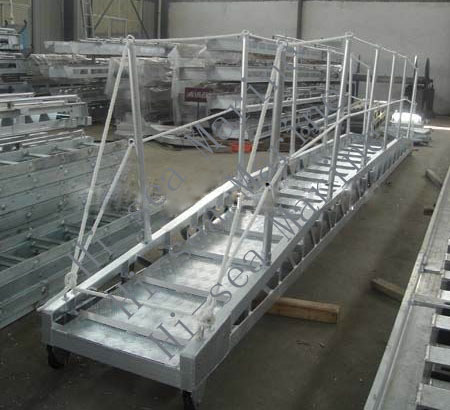 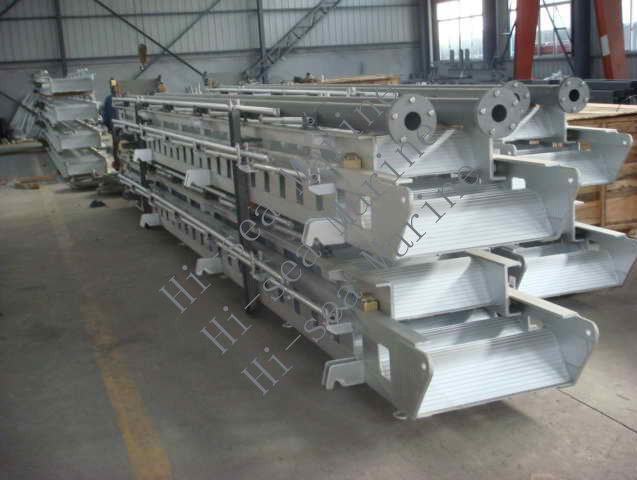 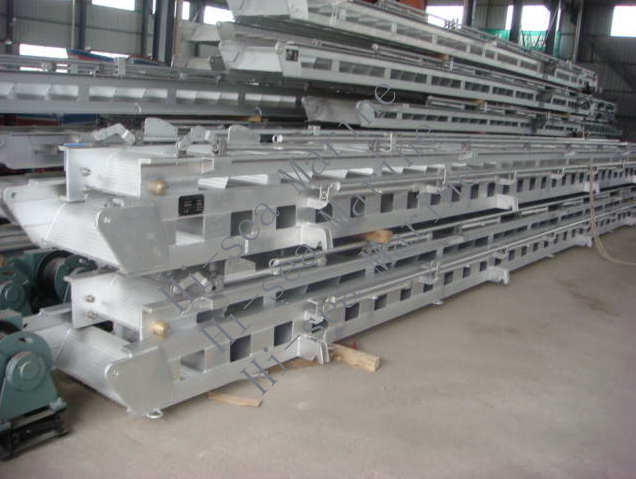 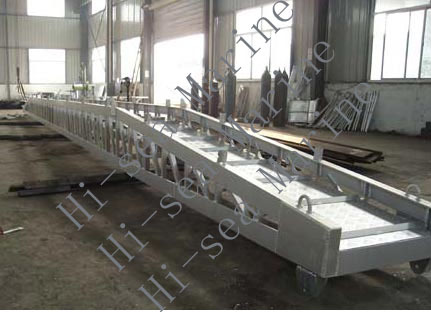 Related products for "Aluminum Gangway (Flat Type)"